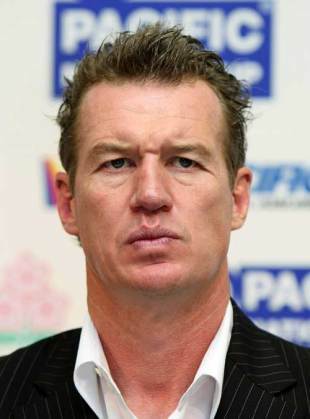 Former All Black wing John Kirwan has said that he will likely leave his role as Japan coach following the 2011 Rugby World Cup. Kirwan has been in charge of the Cherry Blossoms since 2006 and would like to remain on board in an advisory capacity as they prepare to host Asia's first World Cup in 2019. "It's 80% I'll leave Japan in 2011," he told Reuters. "I'd like to stay involved with the World Cup committee. But by 2011 it will be time to move on." Kirwan also revealed some strange training techniques that he hopes will build his players' strength. One such method involves a 90-year-old aikido expert, who trains nurses to lift heavy patients. "He teaches nurses to lift people who are twice their weight," Kirwan said. "Like Yoda! How's that work? I want to see if this can really help us. Japan's players have a slight physical disadvantage but if we can turn that into an advantage through leverage or 'Jedi magic'. "We're always pushing the boundaries. If someone comes to me with a new training idea, I'll pretty much adopt it straight away if the argument's alright."